Pasadena California offers a wide variety of hotels, restaurants and entertainment. Its historic downtown area is filled with unique shops, eateries and theaters to suit any personality. Below you will find answers to questions you may have about where to stay and what to do while attending the ET Summit. This page will provide you with general conference information such as accommodations, transportation, and Pasadena Visitor Information. We will be updating this page with new information on a regular basis so please check back for special activities and the latest news on the Summit! 1. Where is the 2012 ET Summit? The 2012 ET Summit will be held at the Pasadena Convention Center located at 300 E. Green St, Pasadena. 2. Where do I stay? A block of rooms has been set aside at special conference rates for 2012 ET Summit. Please see accommodation information for more details. 3. How do I get to the 2012 ET Summit? If you are coming from the Los Angeles, Burbank or Ontario International Airport taxi or a shuttle service is your best option. 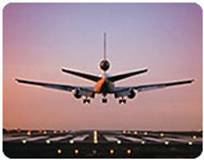 See Air Transportation section of this page for further information. 4. Looking to extend your stay in Pasadena? 5. Didn't find what you were looking for? A block of rooms has been set aside at special conference rates for 2012 ET Summit attendees at the Hilton Pasadena and The Westin Pasadena. When making your reservation, please mention you are an attendee of the ET Summit to receive the special rate. Reservations must be made prior to September 30, 2012 to qualify for these rates. You must contact the Hilton and The Westin directly for any changes or refunds to your hotel reservation. Please note the Hilton or Westin policies apply. Please make sure you understand their change or cancellation policies before finalizing your booking. International Airport is the sixth busiest airport in the world and third busiest in the US, offering more than 565 daily flights to 81 domestic cities and more than 1,000 weekly nonstop flights to 66 international destinations on more than 75 carriers. Major carriers include Southwest Airlines, American Airlines, Delta Airlines, Continental Airlines and many more. Visit www.lawa.org for more information. Ontario International Airport is a medium-hub, full-service airport with commercial jet service to major U.S. cities and through service to many international destinations. Ontario is located in the Inland Empire, approximately 35 miles east of downtown Los Angeles in the center of Southern California. Close to Los Angeles, Orange County and San Gabriel Valley, ONT is home to 7 major airlines that offer over 750 flights a week to all the top destinations. Major carriers include Southwest Airlines, American Airlines, Delta Airlines, Alaska, United and others. Visit www.lawa.org for more information. Burbank (Bob Hope) Airport is close to everything, including major freeways and rail lines. Rental cars are steps from baggage claim and it's the only Southern California airport with an on-site train station. Everything is in close proximity, so there's no getting lost at the airport. Major carriers include Southwest Airlines, JetBlue, Delta Connection, Alaska, and United. Visit www.burbankairport.com for more information.